With only three days to go, the biggest shopping day of the year is drawing upon us. 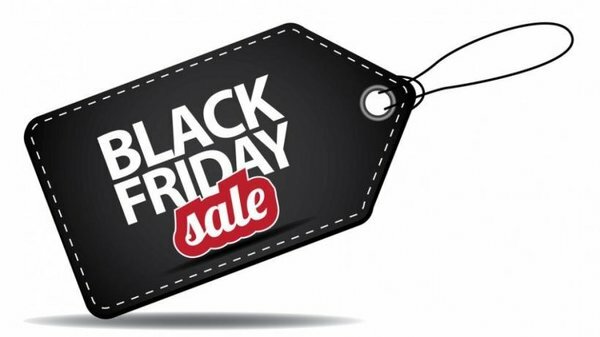 Overtaking Boxing Day as the day where British shoppers go bargain hunting, Black Friday 2015 is going to be, according to retail experts, the biggest shopping day in UK history with online sales expecting to surpass £1bn. An impressive figure, this would be nearly £200m more than last year, where UK shoppers spent £1 million every three minutes on Black Friday. In a recent blog post, we talked about how the UK is the e-commerce capital of the EU with 79 percent of Britons making an online purchase in the past year. With events such as Black Friday and the fact it is so much bigger in the UK than elsewhere in Europe, it will solidify the UK’s place at the top of the rankings. The next biggest market is Germany, where online sales are expected to bring in £281m, a fraction of what is expected here in the UK. Amazon, Tesco, John Lewis, Curry’s, Argos and Sainsbury’s, to name a few, have all confirmed they will be taking part in this year’s Black Friday event. These retailers along with other major retailers have already started to promote their deals ahead of Black Friday to get hungry shoppers warmed up. However, due to the ugly scenes at retail outlets last year, some retailers have bowed out with Asda being the most notable absence. Seen as the company that introduced Black Friday to the UK back in 2013, Asda has said that due to customer feedback, it will not be participating in this year’s event. As an alternative, it will be offering savings of £26m across its products throughout November and December, rather than drastically reducing the prices of big-ticket items. Our research suggests that the products sitting atop of shopping lists include an array of big-ticket items such as TV’s and fridge-freezers, electrical goods on all scales, clothing and footwear, makeup, books and media, toys, homeware and video games. However, amidst the allure of bargain big-ticket items and the positive rhetoric around record-breaking revenue, it begs the question, what are the negative aspects of this one-day sales frenzy? One considerable factor is that last year’s Black Friday caused a massive knock on effect over trading over the Christmas period. Figures show that 2014 saw the weakest December sales growth since 2008 at just 1 percent and footfall is expected to be 8.8 percent lower on Boxing Day than it was last year. Furthermore, the amount of impulse purchases made by shoppers due to low prices could result in a startlingly high number of items being returned. Research suggests that these returns alone could cost online retailers around £180m! With that said, having the popular Black Friday event in the retail calendar has retailers using Competitor Monitor to gain insight into competitor activity. Our service is helping them understand more about pricing and promotional trends, offering full visibility and the opportunity to gain a competitive advantage in the marketplace. Why not get in touch with us today to find out how you can get ahead or take our tour to find out more!